The International Caspian Oil & Gas Exhibition and Conference, the largest energy event in the Caspian region, marked its 25th anniversary this year. The exhibition was held from the 29th of May to the 1st of June at Baku Expo Center. Every year Caspian Oil and Gas gathers leading experts attracting attention to Azerbaijan. Since then Caspian Oil & Gas has been a meeting place for leading oil, gas and energy professionals – a place where memoranda, agreements and contracts for future cooperation are signed. The list of exhibitors and conference participants includes the leading oil and energy companies of the world. Over the past years, the exhibition has brought together circa 7500 companies from more than 70 countries worldwide. The participation of the President of the Republic of Azerbaijan Mr. Ilham Aliyev in the exhibition’s opening ceremony testifies to its high status. The Ministry of Energy of the Republic of Azerbaijan and the State Oil Company of the Republic of Azerbaijan (SOCAR) both show invaluable support for Caspian Oil & Gas. The exhibitions and conference are organised by Iteca Caspian and its partner ITE Group. The exhibition was preceded by a press conference and was attended by Mr. Ibrahim Ahmedov – Deputy Head of the Public Relations and Public Relations Department of SOCAR, Mr. Farid Mammadov, Executive Director of Iteca Caspian, Mr. Tofig Karimov, Manager of Caspian Oil & Gas and Caspian Power exhibitions and Mrs. Aynura Nazarli, Manager of Caspian Oil & Gas Conference. 37 media representatives attended the press-conference from AzTv, ARB, CBC, Iran TV, Lider, Real Tv, Space Tv, Azertag, APA, Sputnik, Salamnews, Oilgas.az and other news agencies. This year the opening of the exhibition coincided with a grandiose event: the inauguration of the Southern Gas Corridor in Sangachal terminal. The ceremony was broadcast live at the Baku Expo Center where the exhibition was held. In his speech, Mr. President said: “Today is a very significant day in the history of our country. Today is the official opening day of the Southern Gas Corridor. I heartily congratulate you and all the Azerbaijani people on this occasion. We celebrate this day here – on the territory of the Sangachal terminal. The Sangachal terminal is the world’s largest oil and gas terminal; it was here that the foundation of the Southern Gas Corridor was laid four years ago. I must also note that today starts the 25th Anniversary International Caspian Oil and Gas Exhibition at the Baku expo Center, and the participants of the exhibition can also be considered participants of the present ceremony. I welcome them. I would like to inform you that for the first time in 25 years the opening of the Caspian Oil and Gas exhibition is taking place at the Sangachal terminal. The Caspian Oil and Gas exhibition played a huge role in the implementation of the energy policy of Azerbaijan”. After President of the Republic of Azerbaijan Ilham Aliyev and first lady Mehriban Aliyeva have viewed the 25th Anniversary International Caspian Oil & Gas Exhibition at the Baku Expo Center. At the end of his visit, the President repaid specially prepared jubilee stamps. These stamps enshrine the image of Azerbaijan’s most important oil and gas event, while taking us back to its history. Then they signed a book of exhibition reviews. In honor of the anniversary, the organisers of the exhibition, presented to Mr. I. Aliyev and Mrs. Mehriban Aliyeva specially prepared perfume “Caspian Gold”. This perfume designed by Azerbaijani perfumers, eau de parfum Caspian Gold is an oriental spicy fragrance. On the occasion of the 25th anniversary of the exhibition and conference Caspian Oil and Gas for his services in organising exhibitions in Azerbaijan, the President of the Republic of Azerbaijan awarded Farid Mammadov with the Tereggi medal, and Sir Andrew Wood, ITE Group’s chief advisor and Edward Strachan, regional director of the ITE Group, with orders “Dostluq” (“Friendship”), for their contribution to the promotion of Azerbaijan’s achievements and strengthening of cooperation with foreign countries. Annually, high-ranking guests from different countries come to the exhibition and conference. So, among the VIP guests of the exhibition and conference Caspian Oil & Gas 2018 were Mr. Mohammad Sanusi Barkindo, Secretary General, OPEC, Mr. Daisaku Hiraki, Parliamentary Vice-Minister of Economy, Trade and Industry (Japan), Mrs. Emma Nicholson, Baroness Nicholson of Winterbourne, PM’s Trade Envoy for Azerbaijan, (UK), Mrs. Sandra Oudkirk, Deputy Assistant Secretary for Energy Diplomacy (USA), Mr. Farhad Samedov, Deputy Prime Minister of the Government of the Republic of Bashkortostan (Russian Federation), Mr. Günther H. Oettinger, European Commissioner for Budget and Human Resources, European Commission, Mr. Bernard Looney, Chief Executive, Upstream, BP, Mr. Yury Sentyurin, Secretary General, Gas Exporting Countries Forum (GECF) and others. The 25th Caspian Oil & Gas exhibition welcomed 312 companies from 38 world countries. The participating companies were engaged in the exploration and development of the oil and gas fields. Also, there were a number of service providers amongst the exhibitors of this year’s energy event. Belarus, Italy and Russia were represented by their national groups. The list of this year’s exhibition had been extended to welcome new companies that account for 20 percent of the total number of participants; most of the newcomers were foreign participants who place high interest in the oil and gas market of Azerbaijan. Also, there were debutants among Azerbaijani companies; in total, they currently made up 30 percent of the exhibitors at the event. 40% of the exhibition area was occupied by world-famous companies that were its permanent participants of the event. 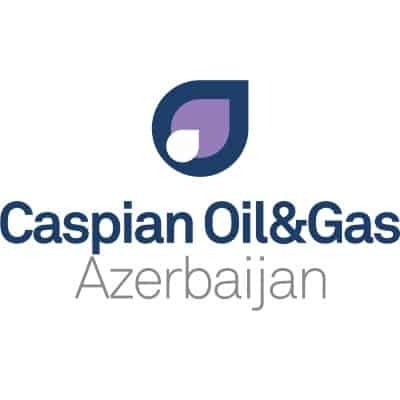 For many years, the General sponsor of the Caspian Oil & Gas exhibition was SOCAR; Gold sponsors were BP and Equinor; Silver sponsor was Turkiye Petrolleri; Bronze sponsors were Azeri Mi Drilling, Azfen, Baku Steel Company, Bos Shelf, Caspian Drilling, Caspian Marine Services, Global Energy Azerbaijan, Socar Polymer, Tekfen, and Russian Export Center. The general media partner of exhibition and conference was CaspianEnergyInternationalMediaGroup. This year’s exhibition was distinguished by a comprehensive business programme, within the framework of which were held B2B meetings, which were provided the exhibitors with an additional opportunity to conduct business meetings and negotiations with several key customers during the day. Foreign and local companies took part in the meetings. The business programme of the exhibition also included different seminars that were relevant to a wide range of representatives of the oil and gas industry. The seminars were on the following themes: “The Role of the Automation Engineer in Oil and Gas Projects” (INKOEL); “TOFD – Key Principles. Standards. Benefits. Staff Certification.” (Belgazpromdiagnostika); Magnatech, automatic welding complexes; and “Passive Fire Protection Measures” (Graco). An important component of the exhibition was the Caspian Oil and Gas Conference, which took place from 30-31 May at the Fairmont Baku hotel. The organisers of the Caspian Oil and Gas exhibition hosted a business breakfast for the exhibition participants. The aim of the business breakfast was to help participants benefit from the opportunities created at the exhibitions more efficiently. The business breakfast was led by a professional coach from Alpha Coaching and Consulting, Fidan Azimli, who was invited by the organisers. During the business breakfast, the main issues with regard to the organisation of stands were touched upon, and a formula for successful participation at the exhibitions was presented. This year’s Anniversary Caspian Oil & Gas coincided with significant date – the 95th anniversary of the birth of the National Leader of Azerbaijan Heydar Aliyev who was the inspirer of this exhibition project. The first exhibition was held in 1994 on the eve of signing the “Contract of the Century” in September of the same year; an agreement which defined the main development areas for the Caspian Basin’s hydrocarbon resources and opened a new chapter in Azerbaijan’s oil history. The first specialized oil and gas exhibition in Azerbaijan was initiated by the National Leader Heydar Aliyev who believed that the exhibition would serve as a favourable platform to attract the world’s major oil and gas companies to the development of Azerbaijan’s oil and gas industry. Shortly before the opening of the exhibition in honor of the jubilee of the National Leader H. Aliyev and the anniversary of the exhibition and conference of Caspian Oil & Gas, a ceremony of planting trees and flowers and benches was held were set up by the participants and organizers. The organisers continue the long-standing tradition of awarding the most successful students who have opted to specialize in the oil industry at the anniversary Caspian Oil & Gas exhibitions. At this year’s anniversary event, two students received special awards on behalf of the Caspian Oil & Gas project; these were Abdulla Askerzadeh and Mahira Asadzadeh who both scored 700 on admission to the Faculty of Automation of Industrial Production at Baku Higher Oil School. All the long-standing participants of the exhibition were presented with memorable souvenirs. Hence, unique postage stamps had been issued specifically for the 25th anniversary of the 1st Caspian Oil & Gas Exhibition and Conference of independent Azerbaijan. These exhibition-devoted stamps were issued in Azerbaijan for the first time. The first type of the stamps depicted the anniversary logo of the Caspian Oil & Gas exhibition and a symbolic drilling rig, while the second type was but a reproduction of the painting which depicts Baku on the Caspian Sea shore; the author of these works was Chinara Mamedova, an artist and designer who had been working at Iteca Caspian for 10 years. A postal envelope and special postmark was made for the exhibition’s first day in order to perform the ceremonial sticking, which was held on the opening of the exhibition. These stamps enshrined the image of Azerbaijan’s most important oil and gas event, while taking us back to its history. Another memorable souvenir prepared by the organisers was the perfume CASPIAN GOLD which was made particularly for the Anniversary Caspian Oil & Gas Exhibition and Conference. Designed by Azerbaijani perfumers, eau de parfum CASPIAN GOLD was an oriental spicy fragrance for women and men. Alongside Caspian Oil and Gas exhibition took place the only event in the Caspian region specialised in energy efficiency and renewable energy, the 8th Caspian International Power and Alternative Energy Exhibition, Caspian Power 2018. Caspian Oil & Gas exhibition has the quality mark of the international exhibition community UFI (the global association of the exhibition industry). The sign “Approved by UFI” testifies to the conformity of the exhibitions to all international standards. According to UFI, this year’s exhibition was attended by 6,887 people. The next year the exhibition will be held from May 29 to May 31, 2019. “The first exhibition was held in 1994 when Azerbaijan was a young independent state, seen as a frontier economy. The exhibition played an extremely important role in attracting investments. Over the past 25 years, Caspian Oil & Gas has become a global scale and prestigious international exhibition, with a steadily growing number of participant countries/companies. We are implementing these giant projects jointly with our partners and re-drawing the energy map of Europe”. “This is my first visit to the exhibition in Baku. The exhibition made a good impression on me; it is bright and competently organised. I am very satisfied with the results. The exhibition gives the impression of an excellent information base for business people and for establishing contacts; it allows you to save a lot of working time”. “I am here to learn more about the possibility to establish new contacts. We met and had a productive conversation with representatives of SOCAR; it is an interesting partner for us. We agreed on further plans for the development of relations. I really liked the effective organisation of stands at the exhibition. I especially note the models of helicopters at SW’s stand”.